This weekend we’ll be reviewing wines from Taste Washington, the annual show where winemakers from all over the state pour their vintages for enthusiasts, media and the trade. 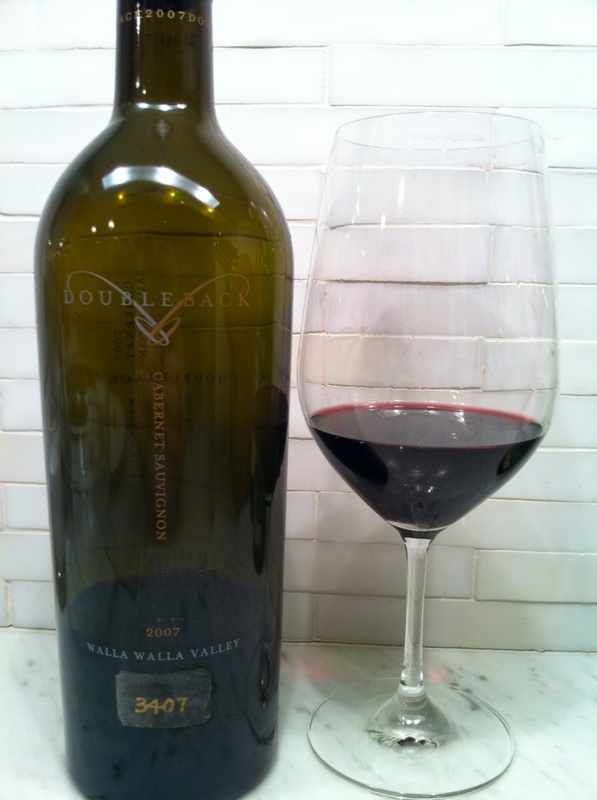 To get in the spirit, we decided to crack open a bottle of Washington wine that we haven’t had for a while, and settled on the 2007 Doubleback Cabernet Sauvignon. This is the debut vintage of Doubleback from Drew & Maura Bledsoe, with Chris Figgins as the winemaker. It has been a couple of years since we have had the 2007 Doubleback, so I wanted to see where it was as far as the evolutionary track. Drew “drew” a lot of flack in the beginning for being an athlete making wine, and I’ve been impressed all along with his passion and insistence on quality. I’m pleased to report that the 2007 lives up to his high expectations so far. I look forward to seeing where the 2007 Doubleback goes from here. I’m also looking forward to making new wine discoveries this weekend – and sharing them with our readers! Cellar Gems are reviews of wines aged in our cellar. Italian-Style Wines in Oregon Wine Country?